As a mom of two, I can speak from experience that having a good baby registry is so helpful when you bring your little one home. Baby items are so expensive and so knowing what to ask for on your baby registry will really help you be prepared! I want to start off by first saying that this list is huge and can feel overwhelming. However, these are actual products that you will use for your baby, so I wanted to provide a comprehensive list, especially for all you first time mama’s. The first and probably most important category is sleep. Everyone knows that a baby needs their beauty sleep and so being prepared with the essentials is key to not only making sure they get enough sleep, but that you also get your sleep as well. Sheets – Make sure to add a few sets of crib sheets to your registry. Babies spit up, have blow outs and somehow manage to make awfully large messes for how little they are. Having several on hand makes it easy to change them out as needed. Bassinet – The first few weeks and months are hard as you are constantly feeding your baby around the clock. Having a bassinet next to your bed is a life saver because you won’t have to constantly get in and out of bed every time your baby needs you. Dock a Tot– This is a truly amazing product. It’s like baby sleep magic! For some reason, babies just love this thing and sleep so good when in the Dock a Tot. If you plan on co-sleeping this is a great option because it keeps the baby nestled and safe next to you. Baby Monitors – When your baby is in another room, you will want to be able to hear and see them. Baby monitors are a must on the registry list. Swing or bouncer – I used my swing and bouncer constantly with both of my babies. The swing keeps them entertained when they are awake and I loved the bouncer because I could bring it anywhere in the house with me. It is so small and portable. I used to bring the bouncer in the bathroom while I showered or in the kitchen while I made dinner. There are some great two in one bouncer/swing sets. I had a two in one and loved it because it was such a space saver. Mamaroo – I personally never had a Mamaroo but several of my girlfriends did and they absolutely loved this product. It is more than a bassinet and swing, it’s supposed to move like the mother. It’s comforting for your baby and helps them feel safe. There are several different motion settings, music setting and it is bluetooth enabled so you can control the motion from any compatible smart device. Swaddles and Sleep Sacks – see my swaddle and sleep sack review post here. 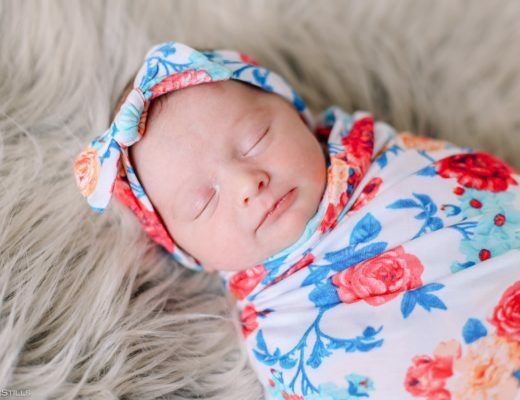 It talks all about the benefits of swaddling your little one! Night Light – A night light is important so that you can see where you are going when your baby needs you at night. You don’t want to startle the baby by suddenly turning on a bright light, so having a soft night light will take care of this. Footed Pajamas – My babies lived in footed pajamas. I love the footed pajamas because their feet are actually kept warm and covered. Socks often fall off at night, so be sure to add a few sets of footed pajamas to your registry. Onesies– Lots and lots of onesies, trust me. Hats – Heat escapes through our extremities so you will want to be sure to keep your little ones head nice and snug with some cotton hats. Socks – Keep their little toes warm. Mittens – Babies scratch themselves and these mittens protect their little hands and face. Drool bibs – Yes, babies drool and they drool A-LOT. I constantly changed our drool bibs for both of my kids and still use them every day for my one year old. Add lots of these to your registry! Nursing Cover – If you plan on breastfeeding, add a nursing cover to help you feel more comfortable when nursing in public. Many of them can also be used as car seat covers! Breast Pump – Gotta have one of these, especially if you want to build up a milk supply! For a complete Breast Pump review, see my post here where go in depth about different types of pumps and help you find the best one for your needs! See my breastfeeding essentials list here. Also for more information about what to eat while breastfeeding, I have an article with a great little info graphic here. Bottles, Bottle Brush, Drying Rack – Also on my breastfeeding essentials list found here. Boppy Pillow – More info here. High Chair – Before you know it, your baby will be ready for solids. High chairs are expensive, so add one to your registry. It really helps when all of the large purchases are given as gifts! Bibs – Again, lots of bibs! 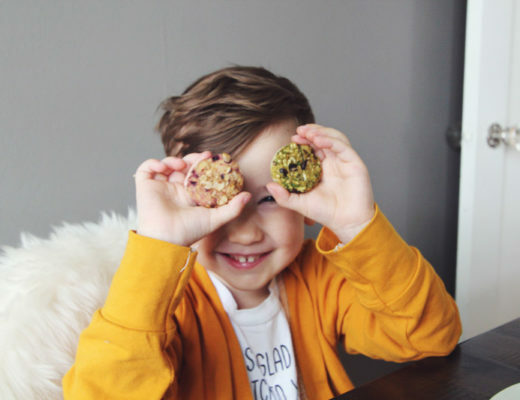 Your little one is going to make quite the mess when they start exploring their first foods. Bumbo – The Bumbo seat helps teach your wee one to sit on their own and it is a great portable seat for feeding and entertaining. This whole section is pretty self explanatory. Add lots of diapers and wipes to your registry. You are going to go through these like you won’t even believe, so stock up! Also, a wipe warmer makes changing your little one a little more comfortable. Rash Cream – Here is a list of the products I tried and loved for my babies. Diaper rashes do happen, so be prepared. Babies want to be entertained and play! There are so many fun toys and games, here is a list of some of my kids favorites. Here is a list of bath time essentials. Be sure to get a grooming kit that include a temperature thermometer, nail clipper and nasal aspirator. Pacifier – A pacifier that actually does what the name suggests is a godsend. It’s a good idea to carry around a spare, too, because if you’re out and about and one gets lost, things can turn chaotic really quickly. Pacifier holder – You can use these to keep tabs on a pacifier so it doesn’t get tossed away, or for other small baby items too. Sophie the Giraffe teether – Sophie’s here to help with early childhood development in a number of ways! Stroller – There’s an old saying that you should always invest more in the things that come between you and the ground (tires, shoes, a mattress, and so on.) The stroller that’s going to be carrying around your little one is no exception, but you don’t have to spend a fortune to get something great. You can read my single stroller review post here and if you are in need of a double stroller, you can read my review here. Car Seat – There are stand-alone car seats but finding one that comes with a stroller can make life a lot easier. Comfort is important, but so is safety, and a car seat that’s used properly can save a life – and a quality car seat is going to be easier to use properly day in and day out. Diaper Bag – Now that we’ve covered most of the essentials, it’s okay to treat yourself a little bit if you find a designer diaper bag that you absolutely adore. This choice really comes down to your personal preference and style, just make sure you find something you love! You can read my diaper bag review post here. Ergo Baby Carrier – A multi-position baby carrier can be an absolute lifesaver. This one is loaded with features, from comfortable and padded straps, a large pocket for storing things, support for breastfeeding in the carrier, and more. Pack N Play – A safe place for baby to hang out and chill while you do important mom stuff, it’s nice to have a Pack N Play that’s easy to move around and well-made. If you are having a planned c-section, be sure to read my post about the best c-section recovery products here. I had to have two c-sections and these belly wraps/abdominal binders really helped me recover faster and more smoothly. Here is a little trip down memory lane. 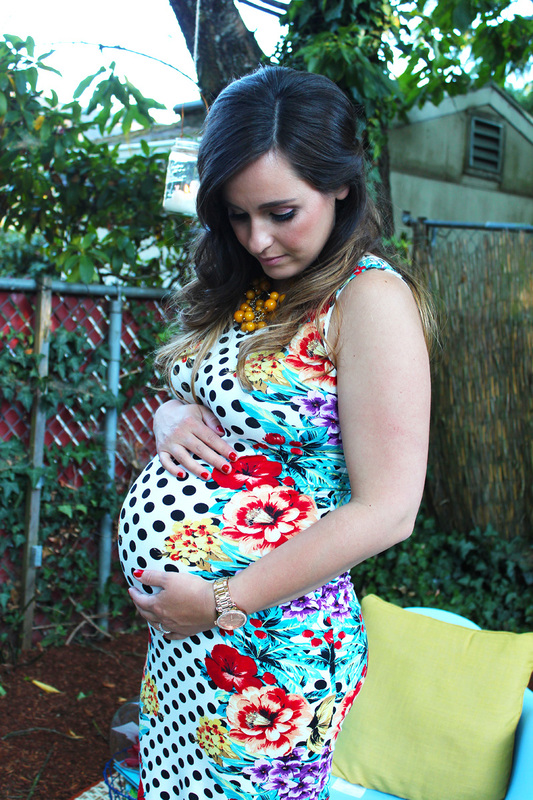 This is me at my baby shower with my firstborn, Charlie! He just turned 4 this September! 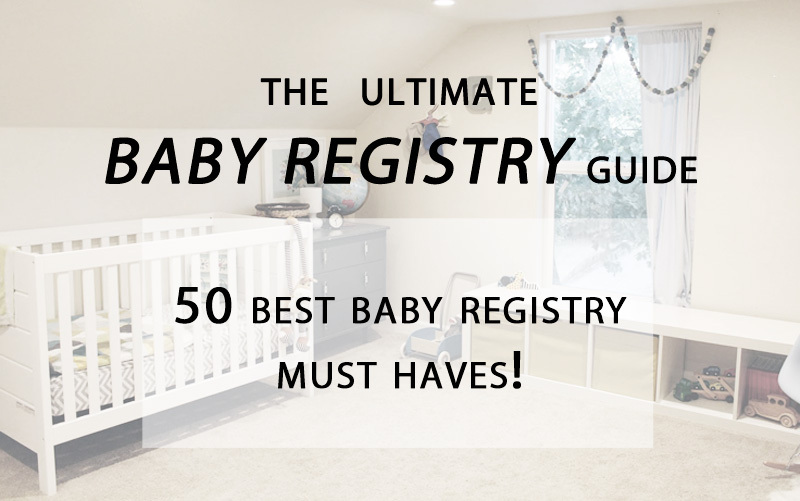 I hope this list comes in handy when you start putting together your baby registry list! Don’t be afraid to add a lot of items on your list. The people who are celebrating this amazing journey with you will be glad to help you out by providing what you need to be the best parents you can be!